Age restriction: Children born between 2009 and 2012: Free of charge (accompanied by an adult). Children born 2013 and younger: Admission not recommended, only with appropriate hearing protectors. For children born 2003-2008 there are reduced children's tickets. 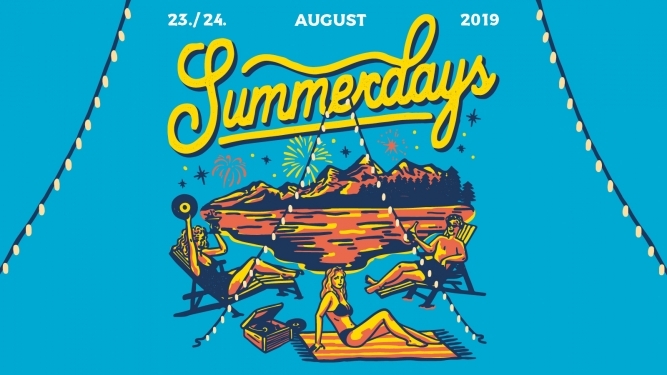 With this festival ticket you will receive a 20% discount on the public transport ticket to Arbon and back from 1 March 2019 at the railway ticket office or on www.sbb.ch/summerdays. The reduced public transport ticket is only valid in combination with a valid festival ticket or ribbon.